I created this card for a friend of mine who recently moved. She loves butterflies, so I hope she enjoys this card! I am also entering it into the American Crafts Punches Week Challenge. 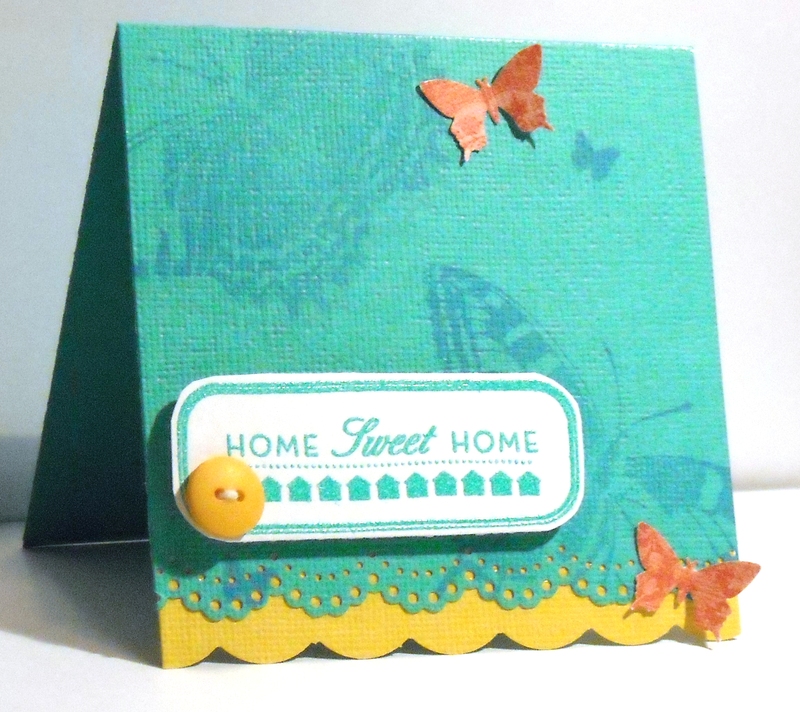 The challenge is to create a card or scrapbook layout using punches and at least two AC products. This card is only 4×4, so it was a quick little card to whip up. 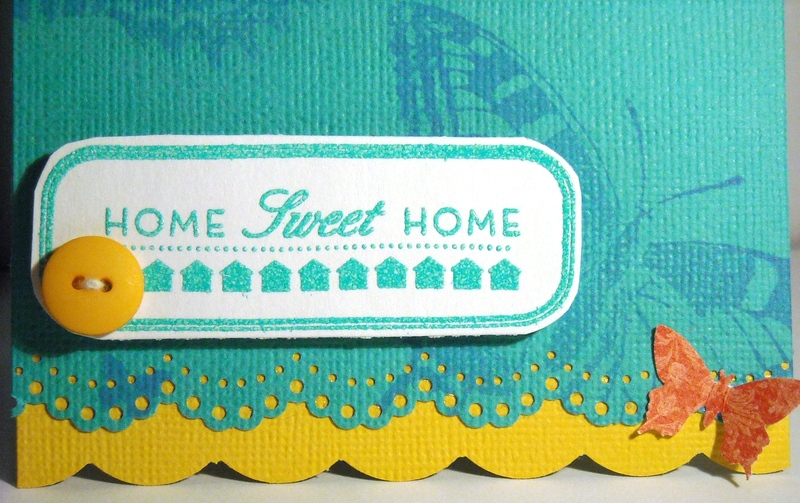 I used Martha Stewart butterfly stamps with AC pigment ink (Wave) to create the tone-on-tone background. I stamped the sentiment with VersaMark Dazzle (Champagne) and used AC Zing! embossing powder (Aqua) to coordinate with the paper and add some shine. I used my EK Success corner punch to create the scallop border on the yellow cardstock. There is a guide on the punch that can be removed to use to create a scallop edge, rather than just round corners. I also used Martha Stewart’s Doily Lace punch on the blue cardstock, and a Michael’s punch for the butterflies.